Rocket is learning new words to add to his word tree, but what happens when he doesn’t want to drop the red boot? “Will you drop it for a stick?” asks Emma. Rocket will not drop it. These repetitive sections are great for building a reader’s confidence since the sentences are repeated with only slight variations. The sentence length is good for the most part, but a few sentence top over 10 words, which might make for some difficulty in reading. There aren’t too many compound words, mostly names like Emma and Rocket. The layout and font size work well for beginning readers, with more than enough support from the illustrations to give context clues. Rocket is a great character who loves books. 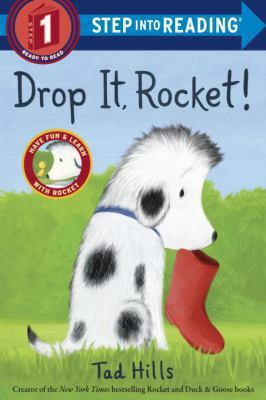 This beginning reader series is a natural extension of what began in How Rocket Learned to Read and it’s great for readers to learn along with Rocket. I’m not sure how many readers will naturally find Rocket beginning readers on their own though since the original Rocket picture books are too long to work in most preschool storytimes. But that’s why it’s the librarian’s job to get these Rocket readers into kids’ hands. 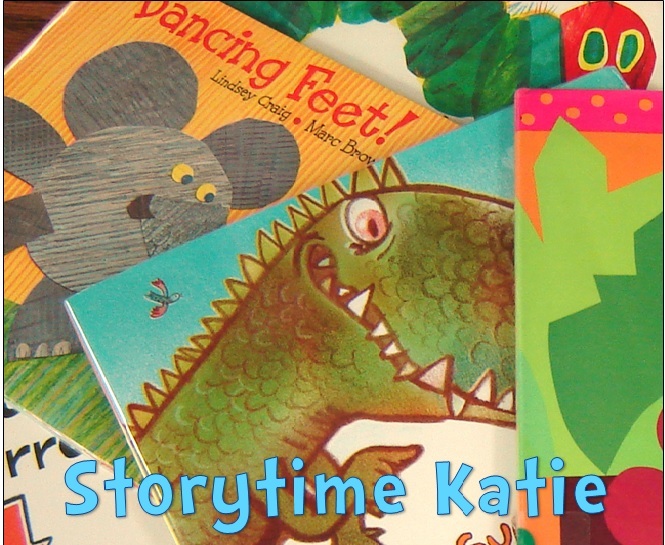 And then to give them the picture books when they want more and more, which is what I think will happen!